Did you know that there's an innovative program wherein members can earn premium discounts just by being active? 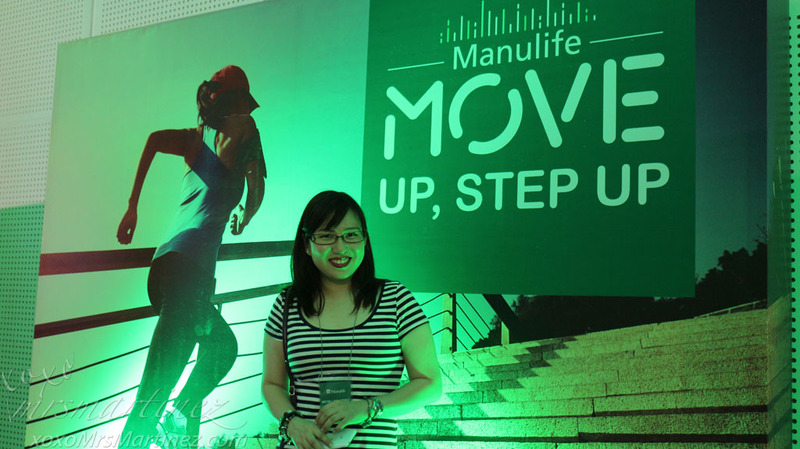 Manulife Philippines announced its new approach to insurance called ManulifeMOVE earlier last week. Roll Fitcubes; Combine instructions of both Fitcubes to perform challenge... get that body swinging! 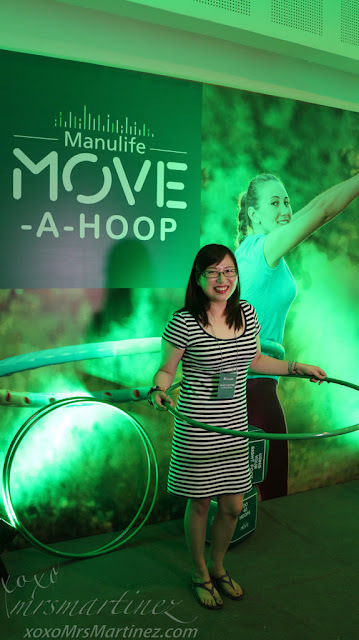 Upon registration and even before the program begun, I was fitted with a fitness tracker synched with the ManulifeMOVE app to measure various activities like MOVE-A-Hoop, Move Central, Hop N' Move, and Move Up, Step Up. With the Fitness Tracker and ManulifeMOVE app, progress can be tracked over time through the number of steps or movements the members make when they walk, run or engage in other physical activities. Through the app, ManulifeMOVE members can access tips on how to stay active and healthy. 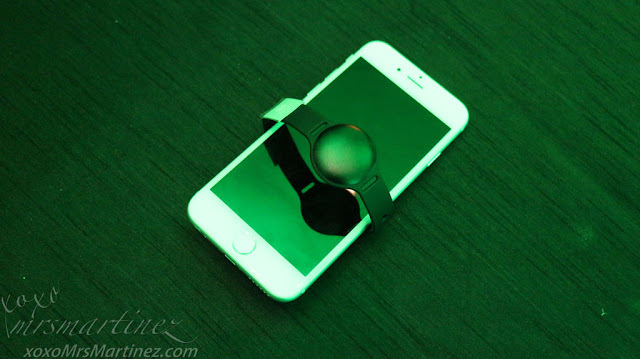 Roll Fitcube and dance to MACARENA! Roll Fitcubes; Combine instructions of both Fitcubes to perform challenge...whatever happens, keep on hopping! Roll Fitcubes; Combine instructions of both Fitcubes to perform challenge... watch your step! I have to say this is the most active event I have ever participated in. After accepting and completing all four challenges, the top three winners with the most number of steps were awarded their very own Fitness Trackers. 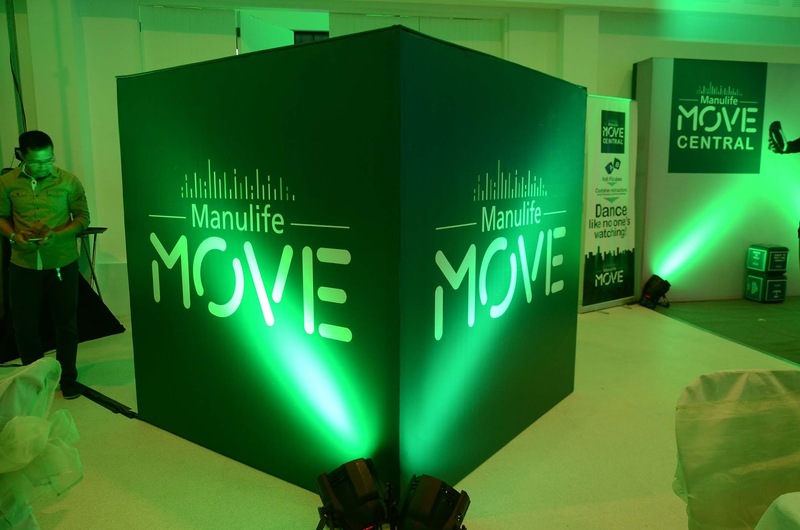 "ManulifeMOVE represents a paradigm shift in how people think about insurance," said Ryan Charland. 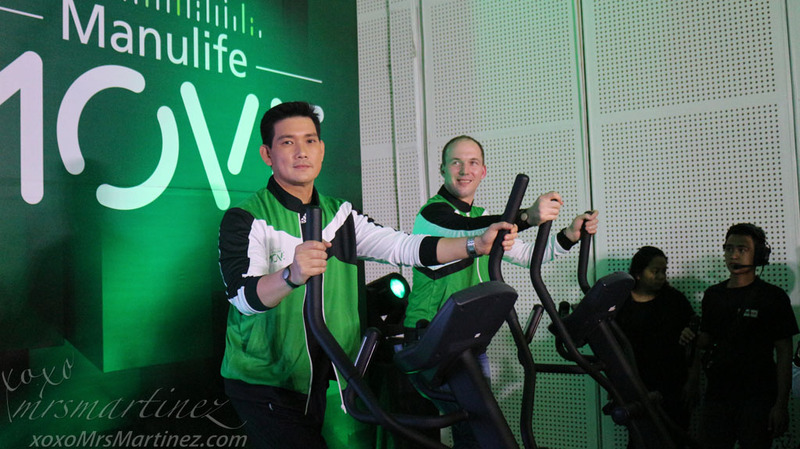 "Our customers have told us they want to be healthier by being more active, and want to use technology to help them achieve their fitness goals. We want to show them that they are the heart of our business, and that we innovate in response to their need. 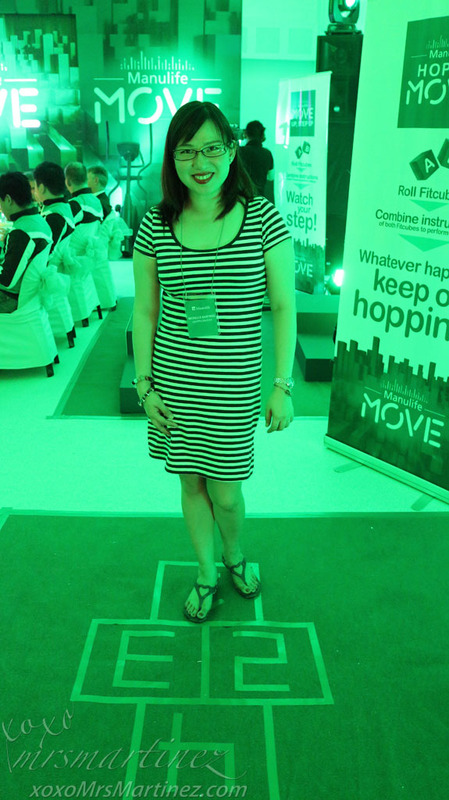 With ManulifeMOVE, we're pleased to provide them with a program that will reward them for being and staying active." At the start of the program, Filipino actor and Manulife Philippines brand ambassador, Richard Yap accepted the Elliptical Trainer Challenge by Ryan Charland, Manulife Philippines' President and Chief Executive Officer, Richard won the challenge by a narrow margin. A ManulifeMOVE member can get rewards simply by staying active. With an average of 5,000 steps each day, a member can receive a 5% premium discount for the next year of their eligible policy. By moving more, members can get higher discounts on their premiums: 7% and 10%savings can be earned by achieving an average of 7,000 and 10,000-steps-per-day, respectively*. *Subject to applicable terms and conditions of the program. "The launch of ManulifeMOVE is the perfect way to kickstart 2016," said Yap. "Many of us have included being healthier and more active in our resolutions for the new year. Manulife enables us to start our own health stories for the year and follow through on these resolutions in an easy and exciting way." 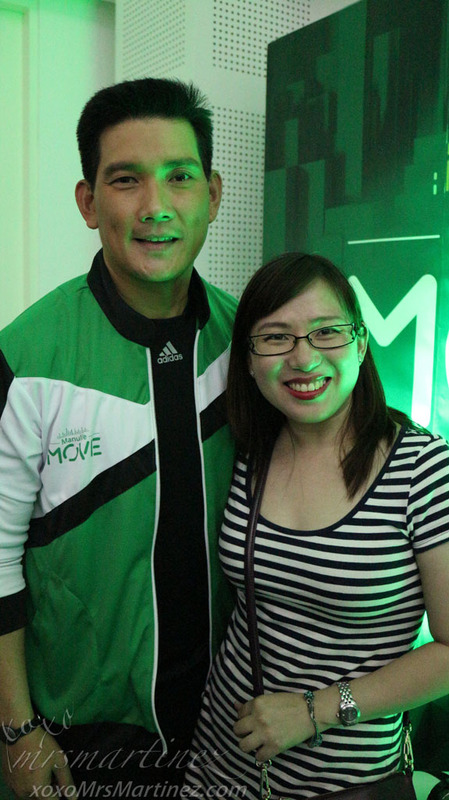 ManulifeMOVE launch is supported by an integrated marketing campaign featuring Filipino actors and Manulife Philippines brand ambassadors Sarah Geronimo and Richard Yap. 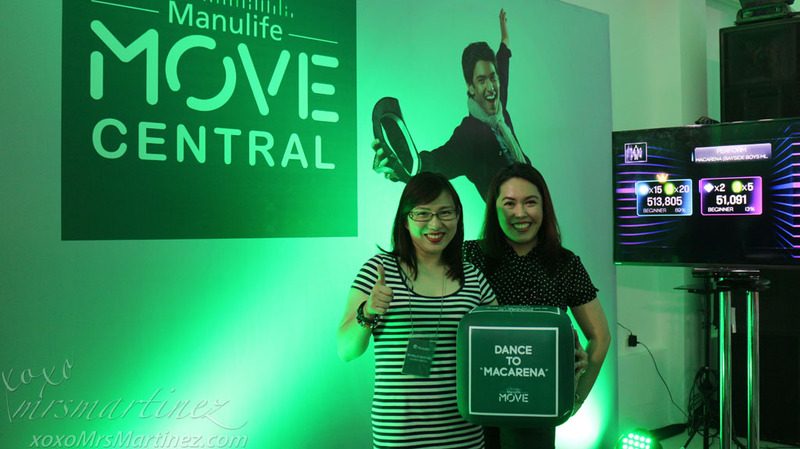 To encourage consumers to move more, the company will also launch a series of dance tutorial videos with the G-Force, the hottest local dance group, dancing to the ManulifeMOVE anthem composed by award-wining composer Thyro Alfaro and performed by recording artist James Reid, one of the most popular young actors in the Philippines today. Customers may become members of ManulifeMOVE by buying any of the eligible products, which include Manulife Health Choice, Adam, Eve, and any Manulife product with critical illness or hospital income benefit riders. 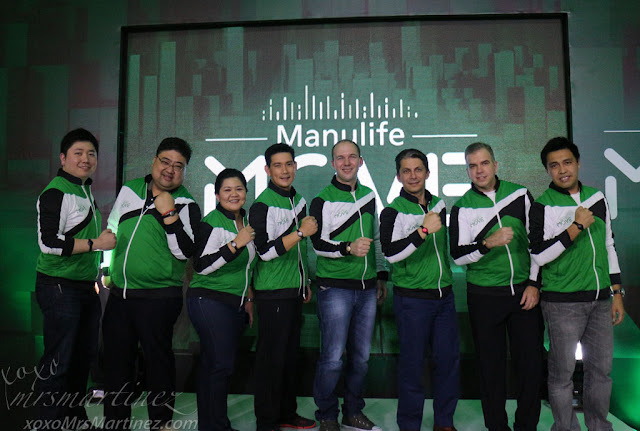 Subject to applicable promo mechanics, from now until March 31, 2016, customers who buy these products, make an initial premium payment of Php5,000 and join ManulifeMOVE can claim a Misfit Shine fitness tracking device. Those who are unable to meet the initial payment requirement can still avail of a 25% discount on their purchase of either Misfit Shine or Fitbit Flex. The program is also open to customers of the Manulife China Bank Life Assurance Corporation (MCBL) who buy Health Choice, as well as MCBL Enrich and MCBL Invest with critical illness and hospital income benefit riders. For more information about ManulifeMOVE, visit any Manulife branch, call Manulife Customer Care at (02) 884-7000, Monday to Friday, 8:00 AM - 5:00 PM or send an email to phcustomercare@manulife.com.